Just 100 short yards to a wonderful beach!! High ceiling & large windows provide a great ocean view! Our 'Sand Dollar' is located 10-15 min. south of Newport and 1 mile north of the quaint town of Waldport in Sandpiper Village. A two-story house with the Main Living area upstairs includes Beautiful Outdoor Deck area. Two bedrooms, one with Queen size bed and one with two sets of Bunks, one which is converted into a full size bed. Fully carpeted, Open floor plan includes Nice Kitchen, Breakfast bar and Dining area, and Free-standing Fireplace in Living room. Wood furnished for the fireplace. Fully stocked kitchen and bathroom shelves just like you're home. Large variety of Dishes, Glassware, Utensils, Baking pans, Skillets, Muffin pans, Pizza pan, Cookie Sheets, etc. Walking the beach or hiking nearby forest trails, Fishing, Crabbing, Clamming at low tide, or Beachcombing for Seashells. Birdwatching ,Whale watching, Building sandcastles, Kite flying, Biking, or Golfing. The house is centrally located between the north and south coasts. Traveling south there are many great parks, lighthouses, unique small towns with great restaurants and shops. Traveling north there are many shops, restaurants, art galleries, antiques shops, and state parks. I'm a native Oregonian, retired teacher, graduated from Oregon State University and living in Corvallis, Oregon. We have traveled many places, but the Oregon Coast is among the most beautiful around. My husband and I enjoy walking on the beach, checking out trails and parks nearby, eating at the wonderful restaurants at the coast and listening to the soothing ocean waves at night. We love the central location of our house and the wonderful views from all rooms of the house. We first purchased this house with another couple because our children were the perfect age to go to the beach to build sandcastles, fly kites, and run from the waves. Now our grandchildren are enjoying the same activities. We have continued to update our house, and we are still enjoying our trips to the Sand Dollar. The view from the deck or any room in the house is wonderful. We have enjoyed many wonderful sunsets. I love the standing fireplace for a cozy fire when it's cold outside.The rich hues of the wood, the high ceilings and the large windows give one a special feeling in this house. Lots of linen storage and amenities for guests. Large mirror, wall heater, window to the south. Shower curtain for tub/shower. 100 yards for walking, running & playing on the beach. Short, easy path to beach. Lots of driftwood to build forts or collect. Great sand areas for building sandcastles, flying kites. Spectacular views of the ocean from all of the windows! Mobile phone for your use. Wall heaters in each room. Very cozy. Lots of bath towels, hand towels, washcloths, dishtowels in good condition. Comfortable area with tv, fireplace, great view of ocean. Large leather chair, couch, barrel chair, good lighting. Automatic Dishwasher with soap for your use. No need to bring cleaning supplies. Built-in cooktop with electric burners and self-clean oven. Many items which varies from guest to guest. Always lots of spices, essentials. Plenty of dishes, platters, bowls, kitchen tools so you don't need to wash things before the next meal. Nice view of the ocean while you're preparing meals. Stainless steel sink and large counter space for several cooks at once. Nice table and chairs with bar area with barstools as well. Plenty of room for six guests with ocean view while dining. Lots of family games and puzzles for all ages. A variety of small toys for children. Seaside buckets, shovels and kites downstairs in garage. Deck wraps from west side to north side. Chairs are downstairs for use on deck. Wonderful view from the living room or the deck. We have a notebook filled with activities, maps and restaurants. The house is well-stocked making it seem like home to visitors. Anyone having difficulties with stairs may want to consider a ground level house, but we do have a great view from the living area which is on the second level. Chairs are provided for the deck. Exactly as pictured. Nice place to stay. We pride ourselves in having it clean for renters to enjoy themselves, and we love our new windows! Clean home in a fine location. Great views and sounds of the ocean. If it were my house, I'd have that couch in the living room facing the Pacific rather than the television. Actually, we have many chairs, including deck chairs that can face the ocean. Walks on the beach are also delightful as it’s a great walking beach. As always, the Sand Dollar is our go-to vacation spot. We've stayed at the Sand Dollar every year for more than 30 years, first with our kids and now as two retired couples. It still fits our needs--always clean with comfortable beds, well-stocked kitchen, and easy beach access. One year we tried a different place in Waldport but returned the next year to the SD and haven't been anywhere else since! We love to rent to return renters that are responsible, respectful, and always welcome at the Sanddollar. We are always updating the house to make it a great place to come back to every year. Linda, the property owner was a gem to work with. I had reserved the house for 4 days and at the last minute asked if we could check in a day earlier and she worked her magic. Although the house is not directly on the beach it had a beautiful view of the ocean and it was just a very short walk to the beach. The house was well stocked with everything we needed. In the evenings we used the internet a lot and it worked perfectly. Overall what a great place to stay and if we are ever back in the area we would do it again. Many renters like to add a day, especially after they’ve been to the house. I can often accommodate them given enough leeway. We love the view too! We are repeat visitors! Once again the stay was fabulous. Place is super clean. It’s comfortable and perfect for our family of five. The location is great it’s a 5 minute walk to the beach and a 5 minute drive to Waldport. Enjoyed our stay at Sandpiper. Property is exactly as promised. Everything you need is there...will definitely stay again. We pride ourselves in having everything you need so you can relax, take a walk on the beach & enjoy the nice view without spending your time running errands. 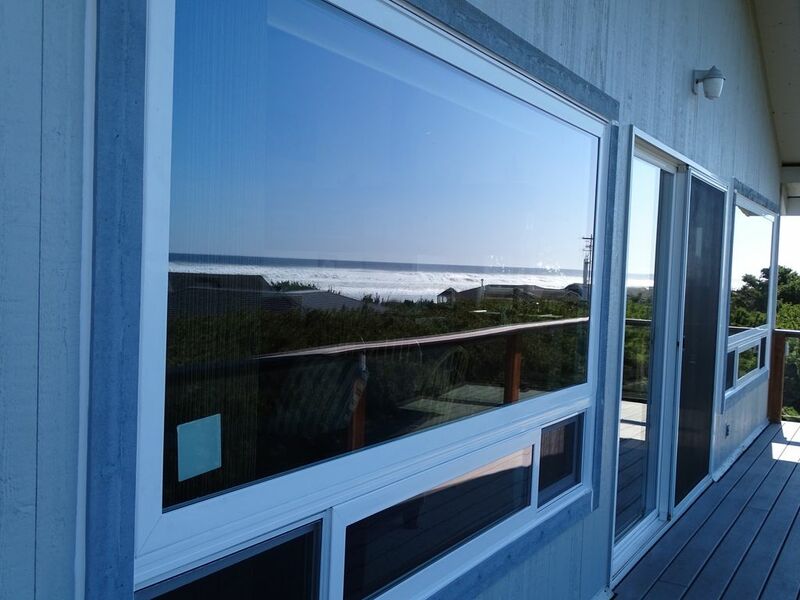 This home is centrally located making it easy to check out the many wonderful sites along the coast of Oregon. There are a variety of state parks, lighthouses, unique small towns south of our house within a 15-30 minute drive. Likewise, traveling north, there are exceptional sights, parks, towns, restaurants, galleries & aquariums to visit within a 15-30 drive. An hour's drive either direction will get you to casinos & outlet stores. Five minutes south just over the bridge in Waldport is an interpretive center with more pamphlets, ideas and advice of places to see & things to do. There is a great grocery store with bakery, meat dept, and deli just 5 minutes from the house. The beach is just 100 yards from the house with easy access. It is a walking beach in either direction, with lots of room for building sandcastles and flying kites. A must see north on 101 is Seal Rock State Park, great fudge in the tiny town, the Oregon Aquarium in Newport, the waterfront and Nye Beach area in Newport. South on 101 must sees are off the road Yachats State Park in Yachats, Earthworks Art Shops, Cape Perpetua just south of Yachats. A trove of wonderful restaurants are available either north or south.